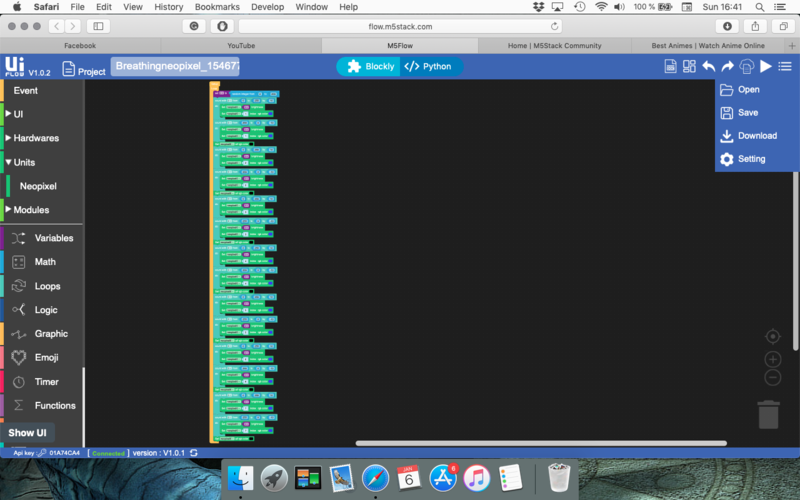 Just spending a cold day learning UIFLow. I have a 7 neopixel jewel and would like to stagger the flash rate. Another test, not quite what I'm after but getting there. 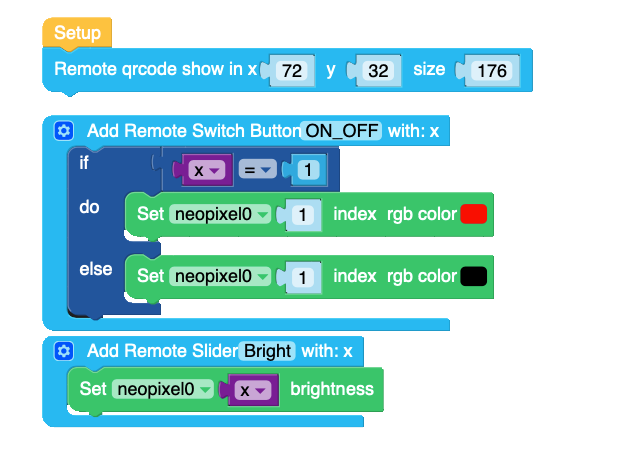 Modified the remote demo to use neopixels connected to port A instead of the rgb bars. Hi, Do you mean that you want to make neopixel flash in equal time intervals? @watson quite the opposite, I want each neopixel to start at random times and then glow through the breathing sequance. I thing that maybe the breathing sequence need to be a separate task. How about your neopixel breathing project? 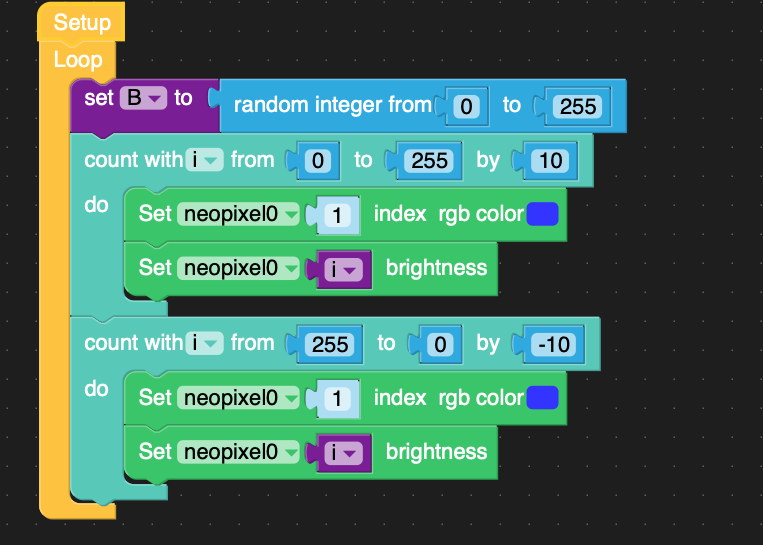 That's the base layer code but it only lights the Pixels in a predefined sequence. Need to find a way to randomize the sequence instead of hard-coding the pattern.